During the Trump presidency, the United States has witnessed unprecedented attacks on the press from the highest office in the land. It is essential to understand how these attacks have affected attitudes toward the press. 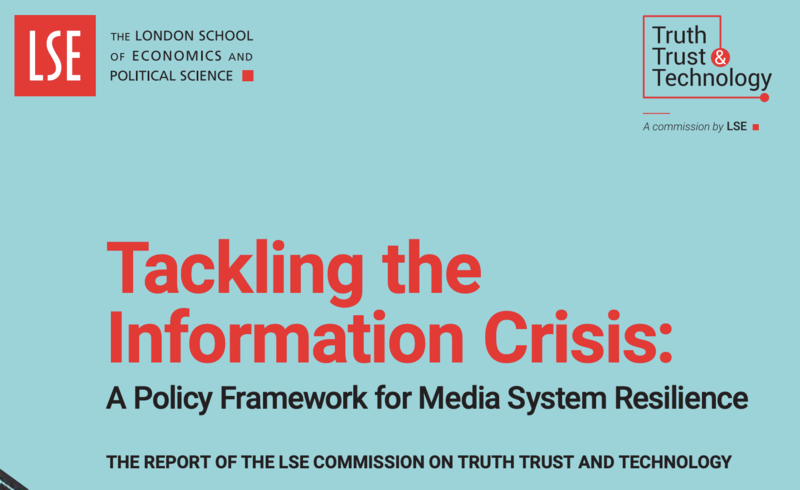 This report presents results of a public opinion and be- havioral study designed to gauge the public’s support for the media in these difficult times. Encouragingly, we find that the public supports the press, albeit weakly. However, this re- sult masks dramatic polarization in media attitudes. Specifically, we show that Republicans and Trump supporters have far more negative attitudes toward the press than Democrats and Trump opponents, especially among respondents with high levels of political knowledge. Re- publicans and Trump supporters are also far more likely to endorse extreme claims about me- dia fabrication, to describe journalists as an enemy of the people, and to support restrictions on press freedom. These differences in media attitudes are reflected in polarized information diets on our behavioral measures, though to a lesser extent than people’s self-reports of the outlets they read suggest. Finally, we show that exposure to anti-media messages, including an attack by Trump on “fake news,” have relatively limited effects on attitudes toward the press. This study was conducted among a representative sample of the U.S. population by the sur- vey company YouGov, which recruits a large panel of opt-in respondents and then uses a weighting and matching algorithm to construct a final sample that mirrors the demographic composition of the U.S. population. The survey component of the study was fielded in two parts. A total of 2,100 respondents from YouGov’s Pulse panel took part in the Wave 1 survey, which was fielded from November 2–8, 2017. This survey begins with a variety of questions about respondents’ media consumption, demographic characteristics, and political attitudes.